Song Tea: Frangrant Leaf Green -> Lishan Orchid -> Red Water Tieguanyin - a concise blog of tasty teas. I had a great tea tasting session in person with Amanda at Song Tea in San Francisco today. It’s my last week here and I wanted to take advantage of the ability to meet in person. 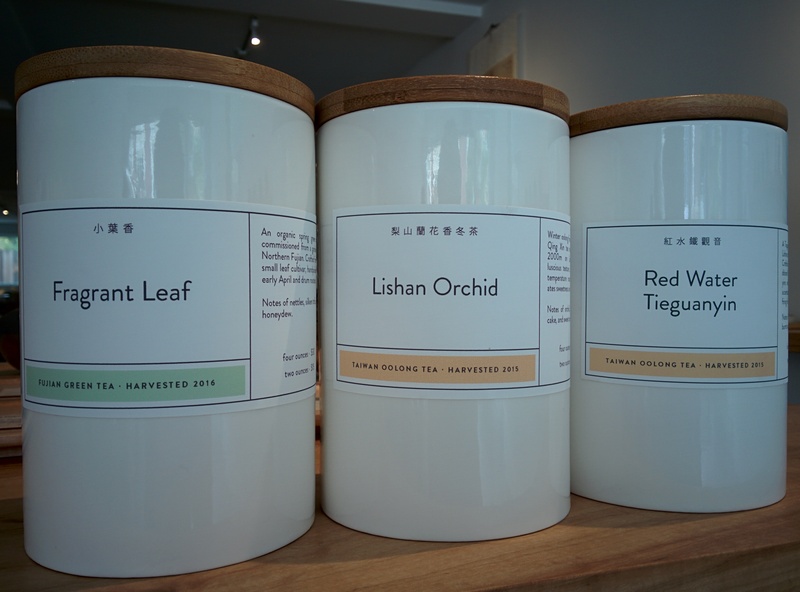 For $10, I got to experience three interesting teas. This tea inspired my choice because it smelled deliciously sweet. It turned out to be more on the astringent side. Amanda pointed out that this tea is intended as a daily drinking Chinese tea and has a pretty typical profile, so I think I’m gradually confirming that I have a large Japanese green tea bias. I like my green tea brothy. It was interesting to try nonetheless. Amanda praised this tea as an epitome of Taiwanese oolongs and mentioned its perfect balance between fruity, floral, and buttery. These flavors really did come out beautifully, and I am realizing that I prefer “unbalanced” Lishans or other Taiwanese oolongs that lean heavily towards the fruity side, because although I love the floral smell, I don’t care much for the taste and texture of a heavily floral oolong. A Tieguanyin grown on Lishan (the mountain) and charcoal roasted. Unlike many charcoal roasted Tieguanyins I’ve had, which seem to aim for a heavy charcoal or even coffee flavor, this tea was slowly roasted in order to accent its natural flavor. As a result, it smelled extraordinarily caramelly and had a fantastic sweetness. After learning a bit more about my own tastes, I purchased a winter Shan Lin Xi (recommended by Amanda for its particularly fruity characteristics) and received a bonus sampling of a Lu’an Gua Pian (melon seed) green tea to challenge my notion that Chinese green tea can’t be sweet. I can stock up more online in the future at the same price as at their San Francisco storefront.